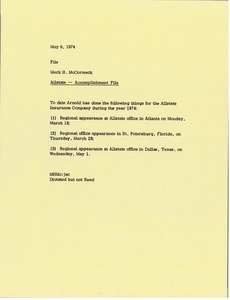 McCormack notes what Arnold Palmer has done to date for the Allstate Insurance Company including regional appearances at the offices in Atlanta, St. Petersburg and Dallas. 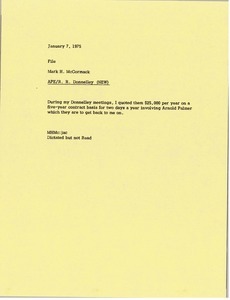 McCormack notes that during his Donnelley meeting, he quoted a price per year involving Arnold Palmer. 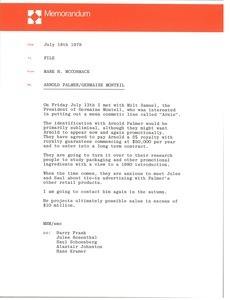 McCormack met with Milt Samuel of Germaine Monteil, who was interested in starting a men's cosmetic line called "Arnie," in which Arnold Palmer would recieve 5% royalties for the subliminal identification. 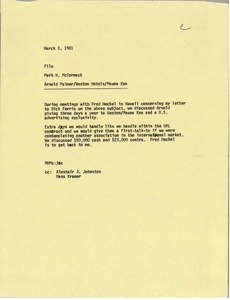 McCormack notes his discussion with Fred Heckel regarding Arnold Palmer giving three days a year to Weston/Mauna Kea and a united States advertising exclusivity. 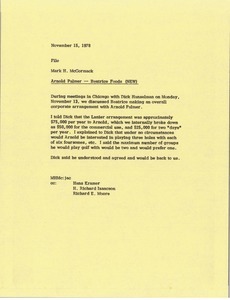 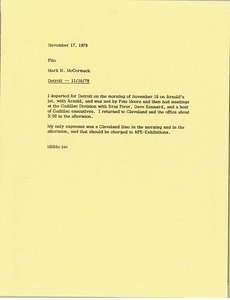 McCormack recounts meetings and expenses from his trip to Detroit on November 11, 1979. 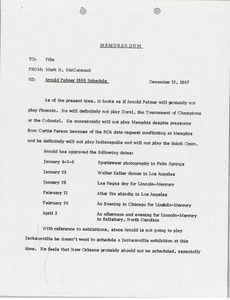 He indicates that he traveled with Arnold Palmer on Palmer's jet, was met by Pete Moore, and had meetings with the Cadillac Division with Brad Piror, Dave Kennard, and a host of Cadillac executives. 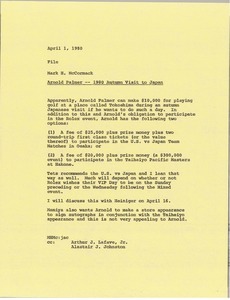 Japan - Notes concerning Arnold Palmer's 1980 autumn visit to Japan. 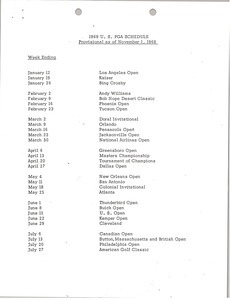 McCormack comments on an opportunity to play at Tokoshima in addition to the Rolex event. 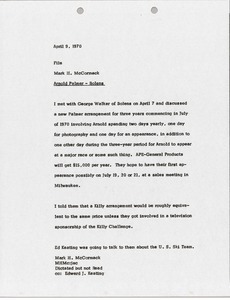 Several options are presented for Palmer's participation and fees and Tets recommends the United States vs. Japan event.